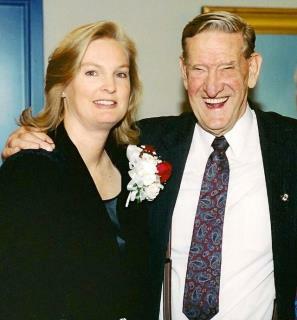 Brother J was a champion for womens athletics before it was PC. He always treated the girls as equals, "or even better" than the guys. "Floyd was my downstairs neighbor. I was always amazed by his patience and love dealing with his wife who was wheelchair bound for many years. He was a big man who seemed gruff on the outside but was kind and thoughtful on the inside. What stands out to me is his absolute faith and desire to set a good example and share his testimony through kindness. 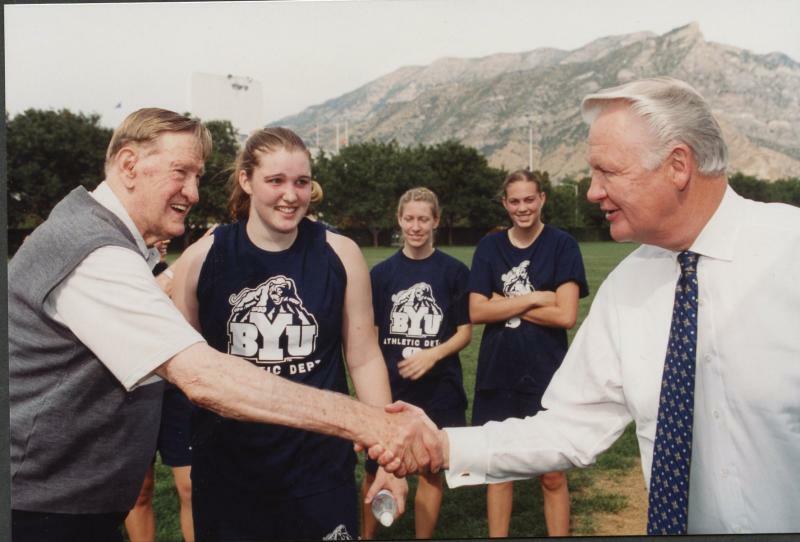 He was a good neighbor and an amazing asset to BYU.﻿"
"Floyd was always very good and very fair to the girls. He tried to give the girls the same opportunities that the men had. He was an advocate for the girls when many weren’t. They were forced into it at first and some resented that. Floyd had two daughters that both played sports at BYU and coached. I am sure he was very supportive of that.﻿﻿"
"Floyd was in favor of us moving into the Marriott Center. We felt it was great and made us more legitimate. It was a time that women’s sports were moving up and that is what needed to happen. Floyd made us feel just as equal to the guys in an era when a lot of people didn’t.﻿"